With limited resources at hand, making sure meat is safe for people to eat can be tricky – both for those whose livelihoods revolve around livestock and meat sales, and for those charged with regulating them. 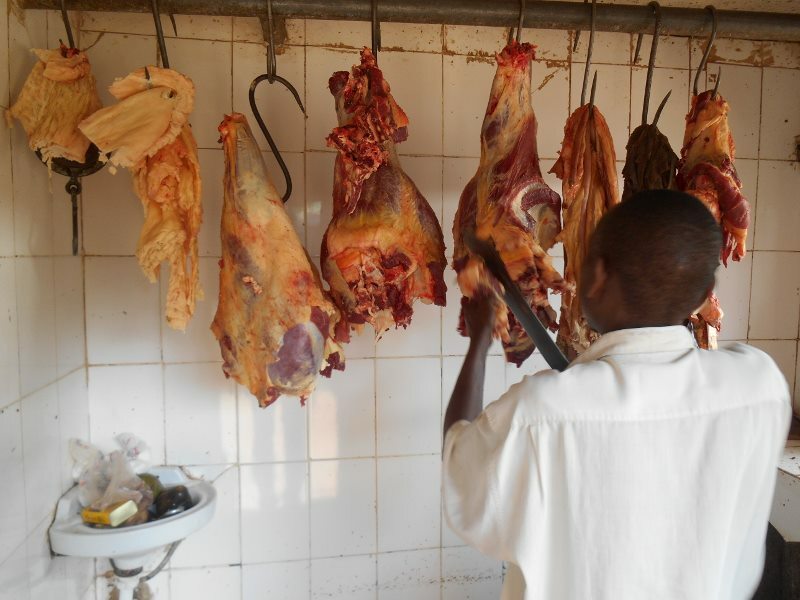 In my last two blogs, I pointed to the critical role of trust between these two sets of actors and outlined many reasons why meat inspectors in northern Tanzania are not always able to ensure compliance with regulations. Not only are meat inspectors often simply unable to be everywhere they are meant to be, but a light-touch approach, which includes training butchers and slaughterers to spot visible signs of unsafe meat, helps build and sustain positive, trusting relationships while providing some safeguards for food safety. In this blog, trust remains a central theme. But, using the same set of interviews conducted with local government operatives involved in meat safety, attention turns to the ways frontline policy enforcers and service providers adapt to the socioeconomic realities of people they regulate and serve. The fact is, the majority of Tanzanians, particularly in rural areas, are poor – and the kinds of small-scale or traditional livestock/meat livelihoods they engage in produce limited returns. Making investments to upgrade infrastructure and equipment in butcheries or slaughter slabs, or paying for what can be expensive animal health treatment, can be difficult for poor people. 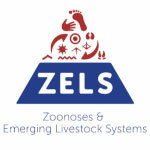 Livestock Field Officers (LFOs), meat inspectors, Health Officers (HOs) and others working at the frontlines of livestock health and meat safety in northern Tanzania understand this, and have to use their discretion to choose to enforce provisions their ‘clients’ can afford. For example, some policy provisions, such as requirements that butchers use electric meat saws or have onsite freezers, are impractical in a context where electricity is neither widely available, reliable or, importantly, affordable for most. At the same time, expertise and materials to make repairs to these items are thin on the ground. In these circumstances, it is unrealistic to expect such standards be met by small operators – and, by and large, they aren’t. Piped water is similarly regarded and, despite regulations for butchers to have hot running water on site, requiring substantial infrastructural upgrading, inspectors are largely satisfied with elevated buckets with spigots for hand-washing and with the carrying of water from domestic points for cleaning butcheries and slaughter slabs. Interestingly however, during the data collection period, we did observe several ceramic sinks installed in butcheries with no running water flowing from their taps. This highlights the fact that inspectors’ priorities are not static, and may change with shifts in institutional and political pressures, pushing them at times to enforce provisions which are not necessarily pragmatic. Other compromises were also tolerated, based on the capacity of actors in question. There are specific rules for instance, that meat be transported in containers that are ‘dust-proof and watertight’, and made of ‘smooth, crack- and erosion-resistant material’. As many small butcheries, especially in rural areas, often source meat from nearby slaughter slabs, extensive and expensive) transport may not even be necessary. Meat is simply carried by hand, wheel-barrowed or moved in plastic ‘cans’ with the implicit blessing of inspectors who may encourage, but do not force, upgrades. In contrast, more was expected of urban butchers who mostly source their meat from larger, centralised facilities and who may have more financial capacity to adjust to regulations. In these contexts, butchers might be able to pool resources to rent a meat truck, or can invest in their own regulation vehicles or containers, and thus urban inspectors were more keen on their compliance. As suggested above, inspectors choose when and how to be flexible, but they also do insist that some standards be met and necessary actions taken. In emergency situations, such as encountering a case of animal anthrax, they know to take a hard line and compel people toward immediate, appropriate action. Issues with less imminent consequences, such as a butcher failing to install wall tiles or a family refusing to vaccinate their cattle during mandatory annual vaccination campaigns, were met with diplomacy and patience, and even a little self-sacrifice from time to time. Inspectors stressed a programme of counselling and education, explaining that they worked with butchers and slaughter slab owners over periods of time to encourage their adoption of particular upgrades or behaviour change, convincing them that such investments are worth it, and giving them time to save to make them. Meting out fines or shutting down businesses was a last resort and these actions were taken only in cases of gross or overly prolonged non-compliance after a series of warnings. As extension workers, LFOs are also charged with supporting local livestock keepers in maintaining their animals’ health. In the region where we interviewed, LFOs typically carry out mandatory annual vaccination campaigns against anthrax, rabies and sometimes other diseases, or initiate them in response to an outbreak. This too, requires coaching and explanation to local farmers who may be hesitant to vaccinate their animals – and sometimes unable to afford to do so as vaccines are rarely offered freely by the state. Knowing this, and yet keen for as many animals as possible to receive vaccination, some LFOs reported allowing households to defer payment, and used their own money for the vaccination despite knowing reimbursement was unlikely. This patience and diplomacy demonstrates the recognition of frontline policy actors of the importance of meeting local people where they are and working with them in ways sensitive to their capacities, and to the generation and preservation of trust and goodwill. This also ensures the continued provision of meat – an important source of nutrition – in the communities in which they work. In sharing these examples, I do not intend to romanticise the intentions or actions of these actors. Indeed, these patterns of practice are probably not universal. However, they are overlooked in literature which tends to frame the behaviour of frontline enforcers and service providers as inadequate. Rather, these service providers are finding effective ways to safeguard human and animal health, while protecting livelihoods, to a degree that is feasible under difficult circumstances.